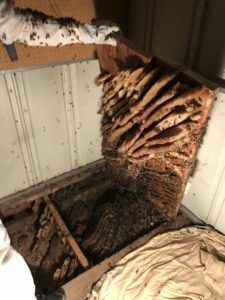 I love it when I get the chance to open up a floor, wall, or ceiling and find an entire colony of bees living there. For the homeowner its a scary experience, but for me, it’s an adventure. I don’t know exactly what I will find. There could be a small number of bees and comb, or a massive colony that has gone undetected for years. It is such a shame when one of these hives is turned over to an exterminator rather than a beekeeper. One of the cool things about doing these kinds of removals is getting some of the stored honey. 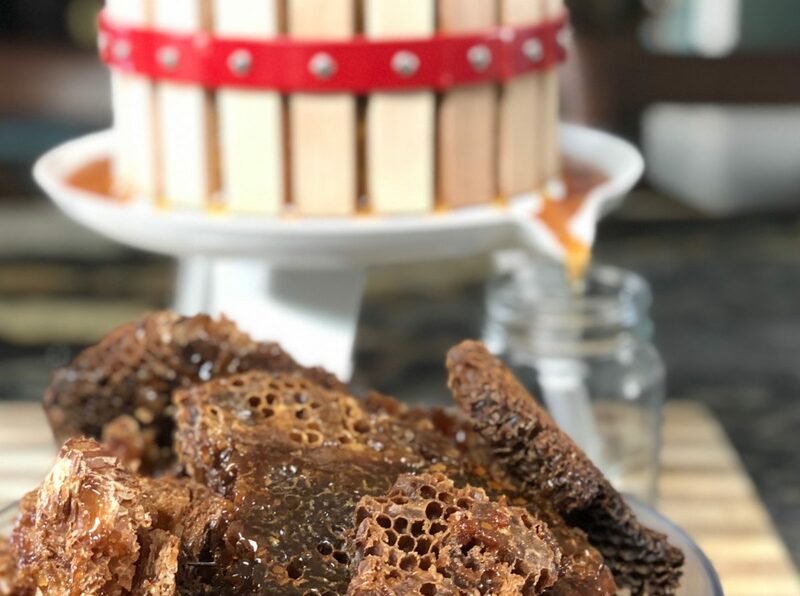 Unfortunately putting the honeycomb into the hive can cause a sticky mess that could ruin the hive so I don’t usually wire it in like I do the brood comb. Much of the honey can be fed back to the bees by placing it in the apiary, but that can cause other bees in the area to find it and end up killing your hive and robbing the honey out of it. So the next best thing is to crush and bottle it. Crushing Honeycomb is Easy Now! In the past I have just put the comb in a paint strainer bag and crushed it with my hands. It takes a few days to let it drain into a bucket, but works pretty well. This time, however, I bought a fruit press—the kind you crush apples in to make cider. I saw one online for $59 from Walmart, and checked on Amazon to also find it at a similar price. This particular one is 6 liters. The video will show you how it works. 5-inch cuts of a 2 x 4 are perfect spacers. Attach the press to a board with screws. Make sure honey is not crystalized or too thick. Use a large 5 gallon paint strainer bag. Protect all wood surfaces with cutting board wax or mineral oil. Put a string under the two hemispheres to pull them up in order to add more comb. When finished, pull off the wooden container rather than trying to pull out the bag of comb. 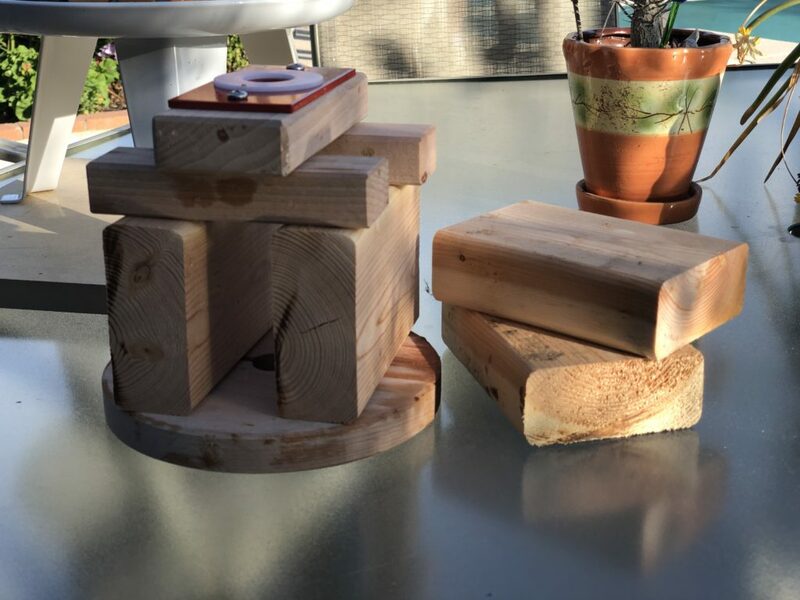 Get wood blocks for raising the handle (I used 5 inch pieces of a 2 x 4). I’m really happy with this method of extracting honey from comb. A bonus is that when you aren’t using the press for honey, you can crush apples or grapes for wine and cider. I love that!